There´s a new brand of heroin flooding the streets, powder cut with a drug 25 times more powerful and deadly than fentanyl. And addicts can´t get enough of it.Heralded as one of the most deadly drug epidemics in American history, accidental opioid overdoses have reached an all-time high in New York City.And that was before this new brand of heroin became available.The war against drugs might be a losing battle, but if someone doesn´t do something soon, there´ll be no one left to fight for. And yet no one seems willing to step up and put everything on the line to follow the trail of tainted heroin to the source.Nobody...except for one man. Only ex-NYPD detective Damien Drake has problems of his own, foremost of which is staying out of prison. 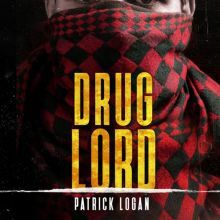 This is no easy task, especially when his quest to end the import of this deadly substance puts him in the cross hairs of those driven by greed and obsessed with power - those who also just happen to be some of the richest and most influential members of New York´s elite.Scroll up and pre-order your copy today! 1. Language: English. Narrator: Michael Pauley. Audio sample: http://samples.audible.de/bk/acx0/137367/bk_acx0_137367_sample.mp3. Digital audiobook in aax.